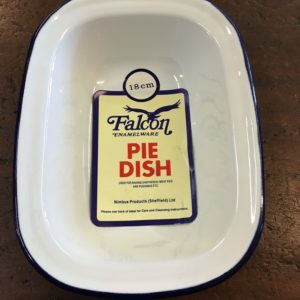 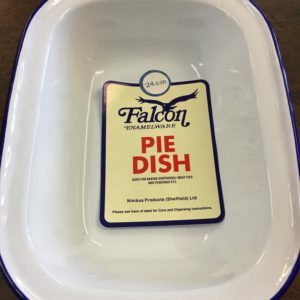 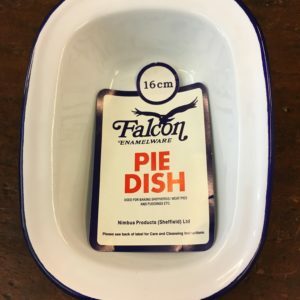 This is the largest in our enamel pie dish range. It’s the one that’s wholly meant for sharing, or using in an eating contest. 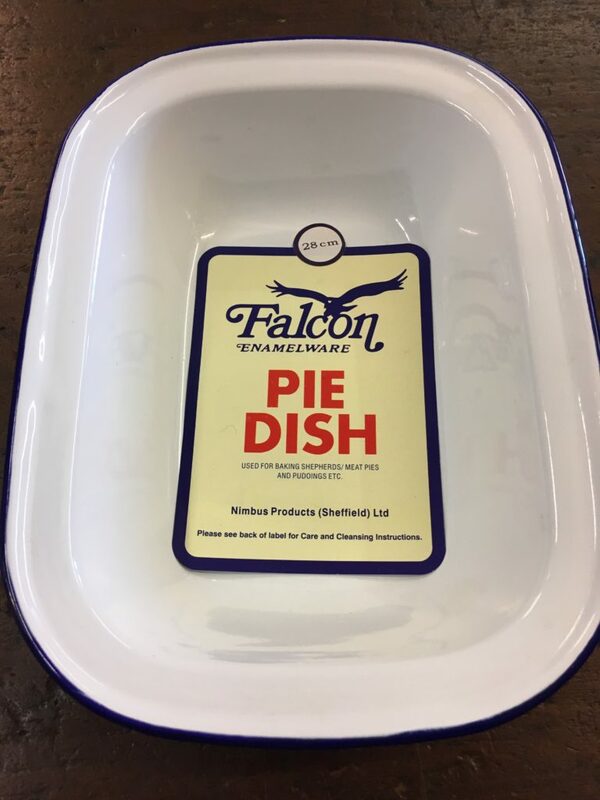 It would be perfect for a weeks worth of cottage pie, a family sized crumble or the potatoes for a Sunday roast. 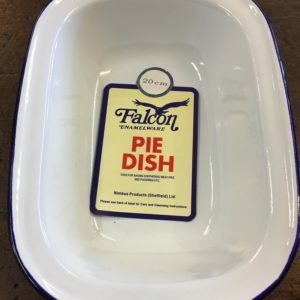 This item is £7.75 to purchase in store.